The long-running homecare dispute in Birmingham is personal for me. It’s an example of some of the most dedicated, caring people in our society being treated without dignity and respect. It’s a clear example of the callous injustice of austerity, and the failings of a Labour council that should know better. It is a dispute I’ve been involved in, involving visits to Birmingham itself, to the Labour conference in Liverpool and Westminster as well. I’ve raised the dispute with Theresa May and with Jeremy Corbyn. And I’ve made a commitment that our union will stand with these incredible women until this dispute is won. 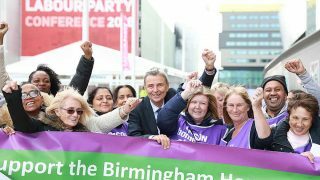 So it was an honour and a privilege to join care workers, activists and friends from across the labour movement in Birmingham last night to express our solidarity and continue the fight for decency. Not just for these workers, but for the people they care for and the communities which couldn’t function without them. This is about the very future of public services themselves, at the coal face of austerity. 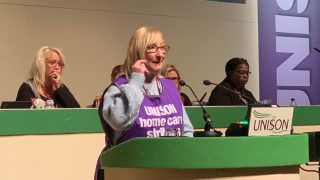 It is incredible to see how these care workers stand together, fight back and strike – day after day after day. 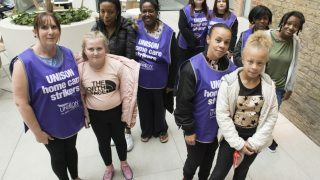 UNISON has stood by these incredible care workers every step of the way as they battle for their jobs. 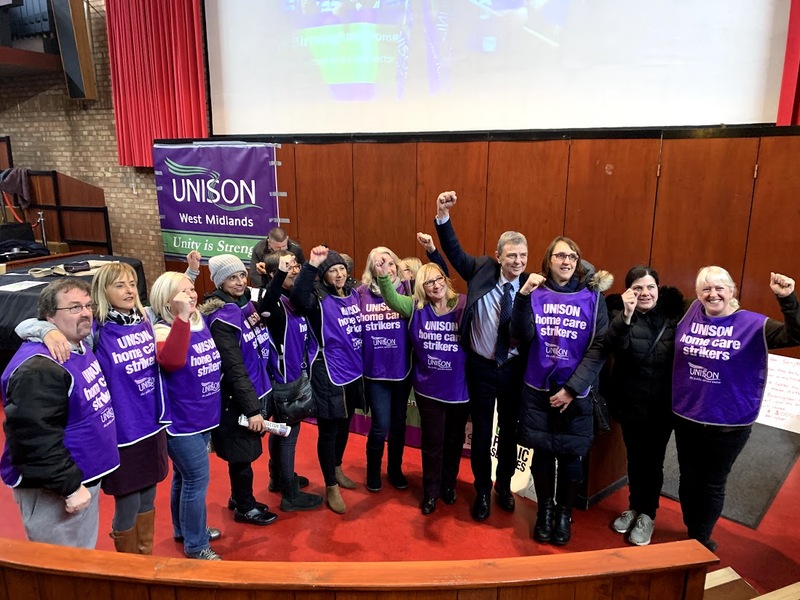 They will always have our support – and my support – because they are the best of public services and the best of our union. We are so lucky to have them, and if they had any sense, Birmingham councillors would realise they’re lucky to have them too.